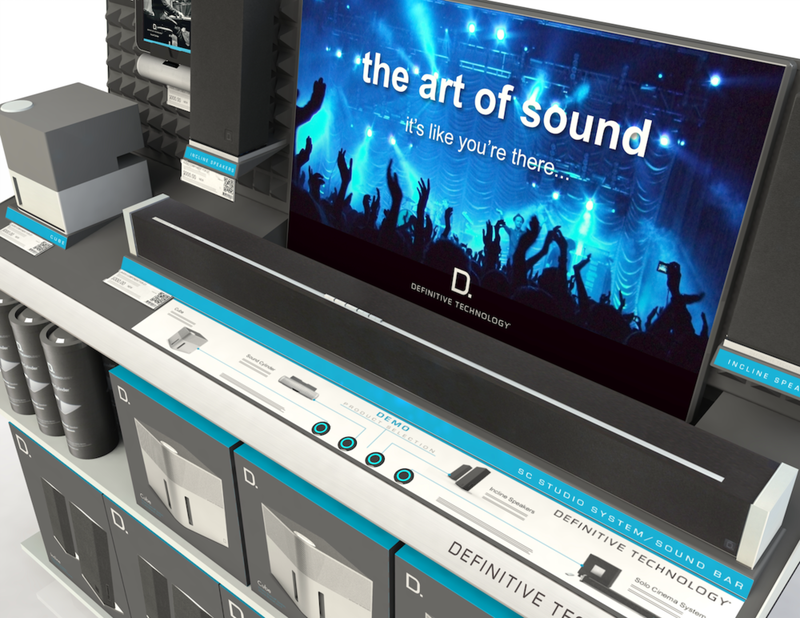 Definitive Technology, a division of Sound United, partnered with AXIS to design and produce an interactive end cap display that demonstrated the sound quality of their speakers, incorporated a video element, and provided a solution to seamlessly stock product. 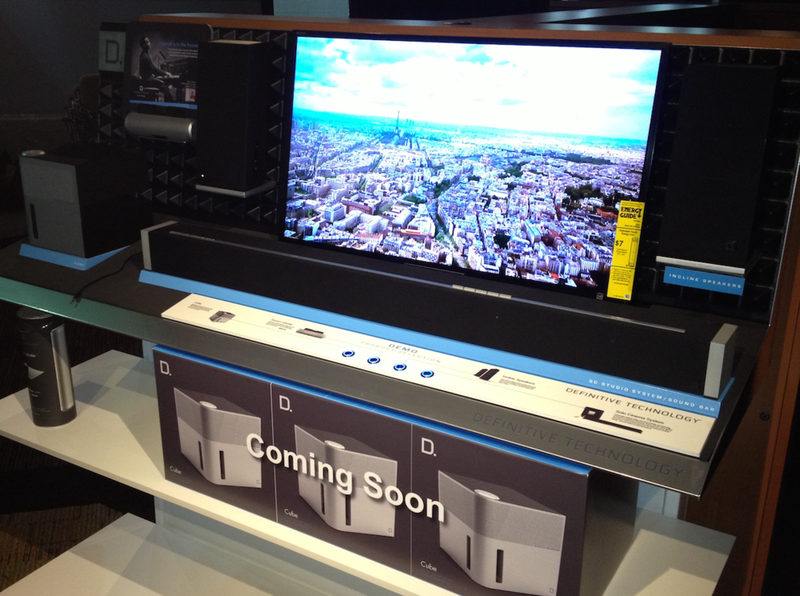 This display was utilized in the unique store-within-a-store Magnolia Home Theater display located in select premier Best Buy locations. Definitive Technology designs products to be sharp and precise, purposeful and rational, innovative and functional. AXIS was asked to draw on these elements while creating a display showcasing their Sound Cylinder, Incline, and Cube speakers, as well as the Solo Cinema Speaker, which also included a soundbar and subwoofer set. The end result was an interactive display that not only engaged the customer, but highlighted Definitive Technology’s ability to deliver a finished product worthy of even the most sophisticated audiophile. Sign up with your email address to receive AXIS news and updates!